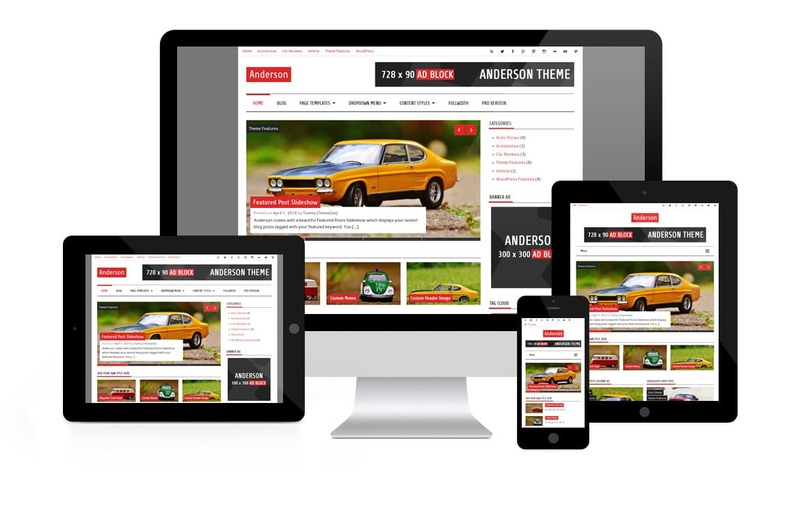 Anderson comes with a fluid layout that adapts to any screen size – from smartphones through tablets to big desktop screens. 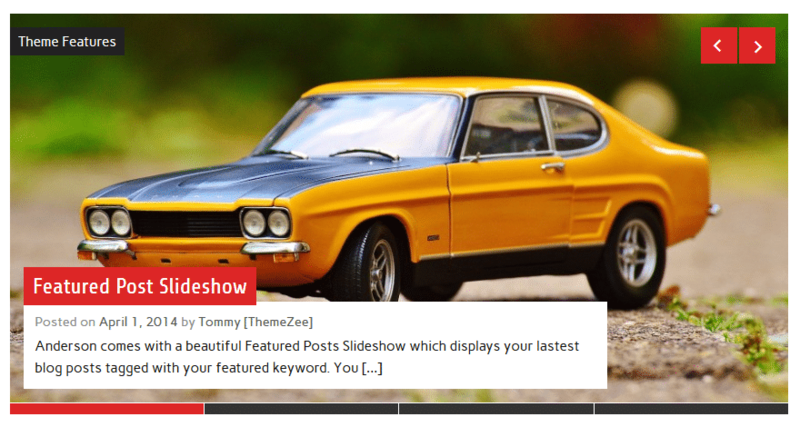 The main highlight of Anderson is the awesome Featured Post Slider which displays your latest featured posts in a beautiful image slideshow. You can feature your posts on the Customizer by simply adding a post tag to choose your slider posts. 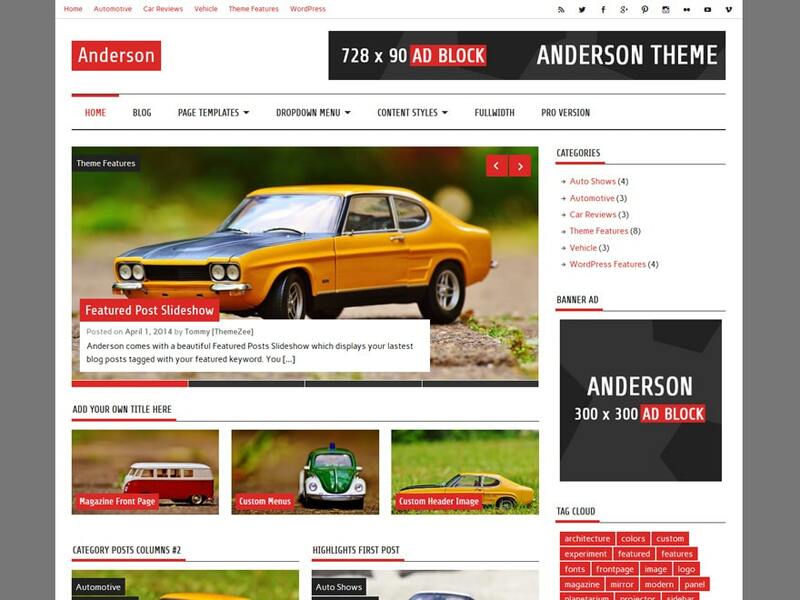 You want to use the free Anderson WordPress Theme? Anderson only includes the most relevant settings you need, which makes the theme setup and configuration very fast and user-friendly. No feature bloat! No hundreds of theme options you have to configure before you can start writing. 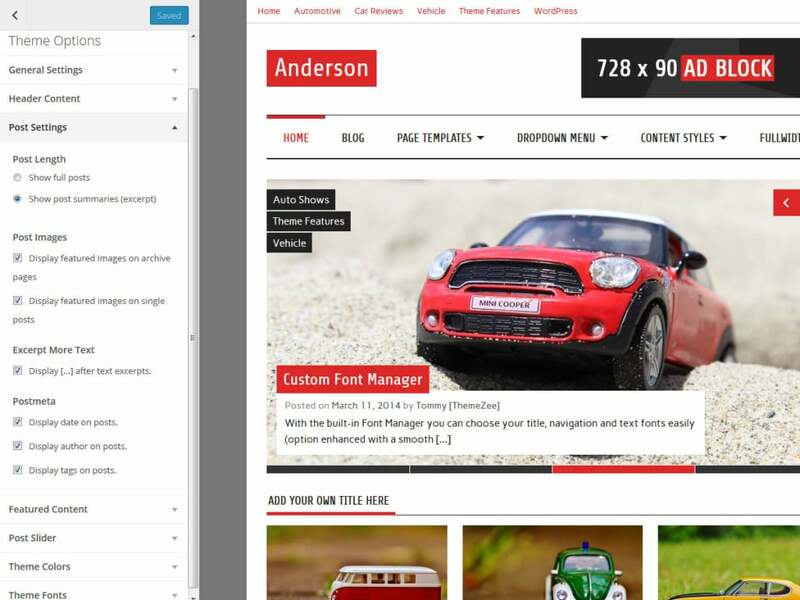 The theme options of Anderson allow you to easily add your social icons to the right of the header area. 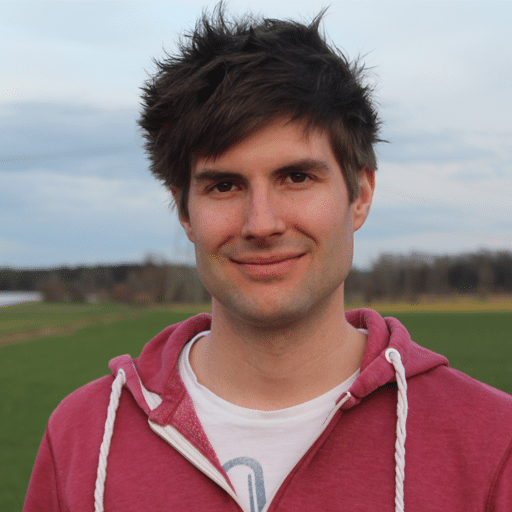 You can also insert an ad banner with the Header Ad Code setting easily. Of course Anderson is licensed under GPL. That means you can use it on unlimited websites for private and commercial purposes.